If you haven't visited the World Trade Center site recently, you might be surprised by the formidable appearance of One World Trade Center. Construction at the site of the former World Trade Centers has suddenly escalated to seemingly boundless speeds. 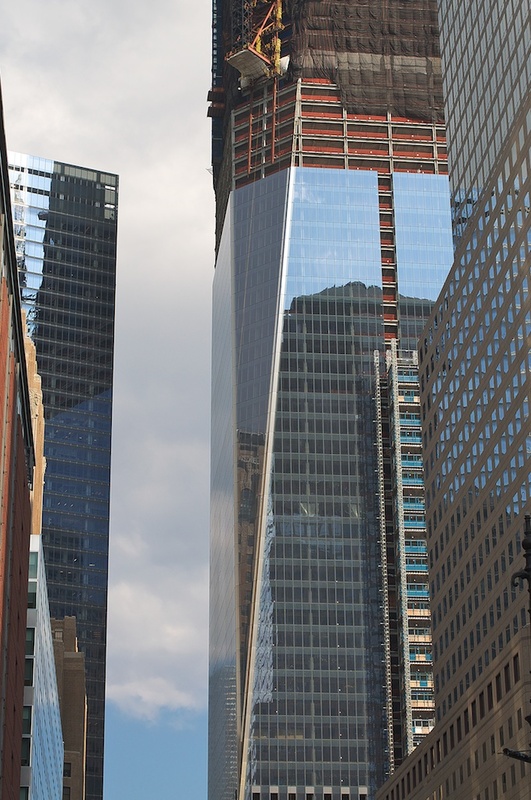 When we moved to New York in 2009, the entire site was still a large pit, and the hole in the ground served as a continual source of embarrassment for locals and visitors alike, who'd ask questions like "8 years later and we still haven't rebuilt?'. 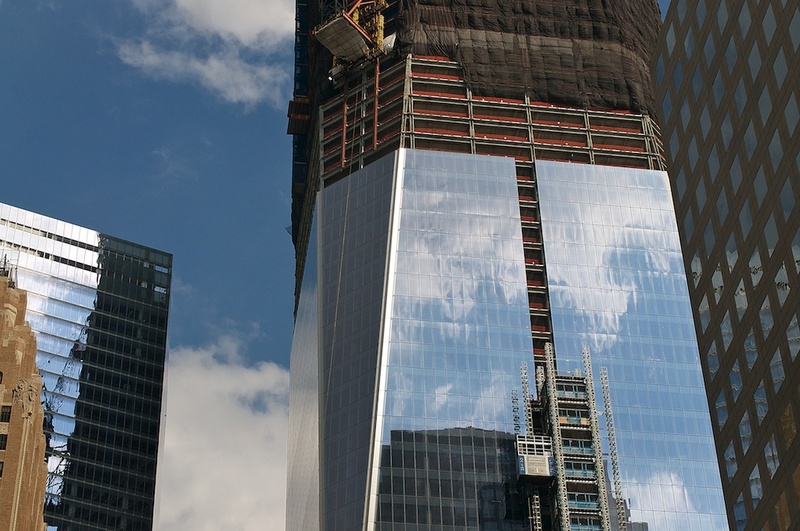 Though One World Trade Center's cornerstone was laid in 2004, construction was stalled for several years while contractors, designers, development firms, and New York City disputed financing and design. Construction started again in full after 2006, so in actuality when we looked at the pit in 2009, progress was happening, it was simply underground and impossible to see. Workers laid a 187 foot concrete base before starting the construction of the building. 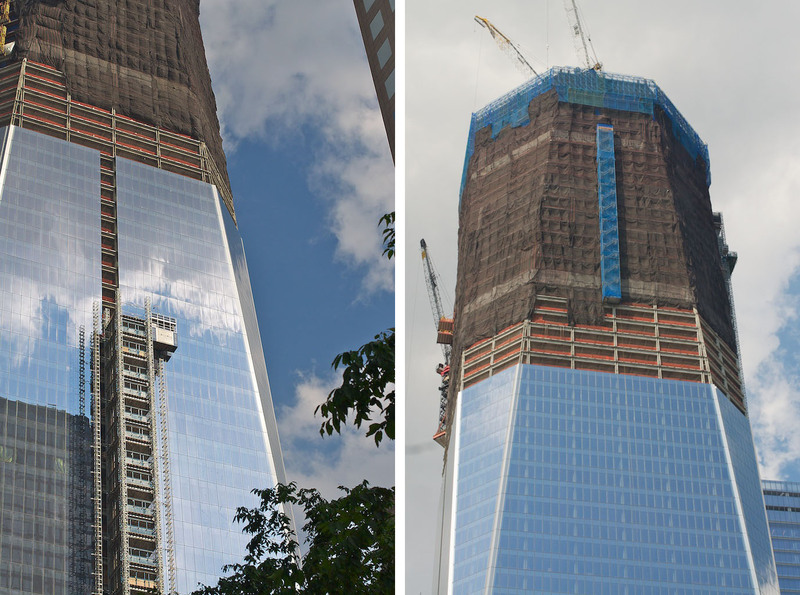 Since the base's completion, it seems that every time I'm in the Tribeca area, One World Trade Center has grown. 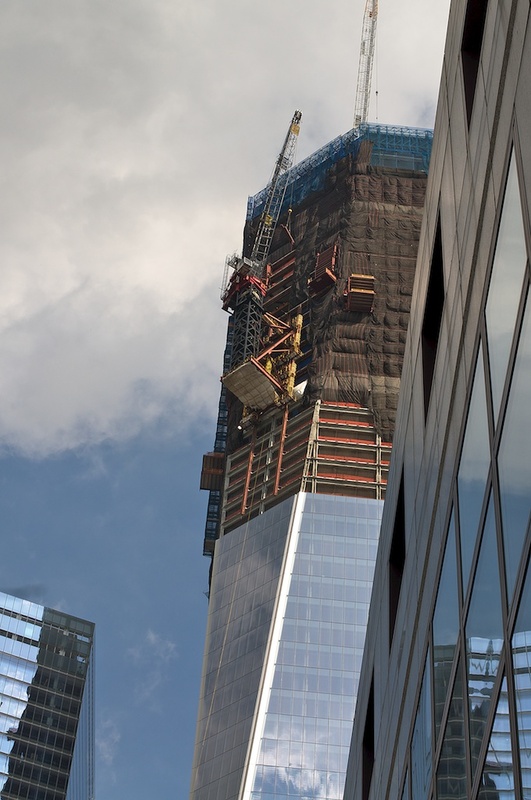 At its completion, estimated for 2013, One World Trade Center will be the tallest building in the US when one accounts for its spire: 1,776 feet tall. 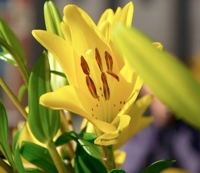 This September 11th, in order to commemorate the 10 year anniversary of the attacks, The National September 11th Memorial and Museum will open. The reflecting pools near One World Trade Center are located in the exact locations of the former Twin Towers, and the museum lies under these pools. I love the various angles of reflection the building offers. 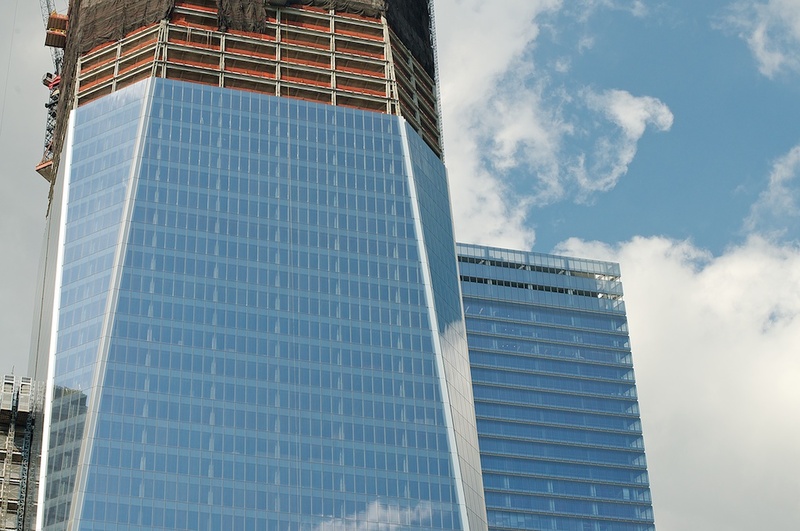 One World Trade Center serves as a sturdy, strong addition to the city's skyline. This coming September 11th will be an emotional, difficult day for many, but it won't be a day when anyone asks 'why hasn't America rebuilt?'. Governors Island is a 172 acre island located half a mile from Manhattan and Brooklyn. I knew that pop artist Jeff Koons had recently displayed some of his work on the roof of the Metropolitan Museum of Art, but being a New York 'newbie', I was unaware that this was out for all to see (since 2006, actually).